Computers Archives - Page 4 of 6 - An average American 40 something guy..
Resizing multiple images in Linux at once. Make a directory to put them in. Change directory to where the images all are. Set the .jpg to whatever type of images you are resizing. We are doing an ls of the directory, assigning the files it sees of that type to the variable $i, we are then using the convert command that comes with ImageMagick to resize the pictures to 80 pixels height, and reducing the quality of the image to 80% to make it a better file size and more usable for the web. We then put it in the directory we made named pics80 and rename it np-(New Pics)and the filename associated with it in the variable $i. I hope this helps someone out, I know I am always converting pics, and do not wanna forget how I did it after struggling to figure it out the first time. Ok, I thought this was a really cool site. Looking to switch Linux Distros? You can compare them pretty well at this site. There is a choice in the upper left corner, Compare Products. You then choose what you wanna compare, you can compare all sorts of stuff! Blogs, Forums, or whatever. Then you can choose the features you are fishing for and it will compare by those. Very nice! A few Commands to help make programs work. in this example, we use the switch -s which means it is a symbolic link. This is often used when a newer version of the library is installed, but the program will not detect it because it is a different name, we therefore create a dynamic link from ours, to what the program is looking for. Does not always work, but offers a possible solution for some older games. Ok, so I have covered a lot of other game and game types for Linux. Now it is time to cover the FPS types. And there are several, of all types! Unreal Games – There are several versions available on Linux. They are all very good games! Some of the Best. Tremulous – A nice Aliens & Humans FPS/RTS Game. Nice graphics, and decent game play. Cube Games – There are several good Games built on this Engine, including a RPG. ID Software Games – These guys are old school Linux Guys. They been supporting Linux Longer then most people were aware of Linux. If you look around, you can find many of their Doom and Quake offerings, as well as Enemy Territory stuff available for Linux! Many of them free. There are also many mod sites for their stuff on the net. Postal 2 – A weird Game. Be careful of the website, it has slightly adult content. But so does the game. If you are looking for a shootem up kill fest, this game is for you! Dark Horizons : Lore – Load into a Mech and go kill the enemy. This is an interesting FPS taking place in large robots. Nexuiz – is a 3d deathmatch game project. Has pretty graphics, and runs on any platform. Looks nice, plays well, probably cause it is also based originally off the Quake Engines. Warsow -is a fast paced first person shooter with graphics based on the ideology of cyberpunk which is achieved by cartoon-like graphics coupled with cel-shading as well as mixing dark, flashy and dirty textures. It was originally started off a project created on the Quake II Engine. Linux Gamers Game Faq is a nice resource for figuring how a lot of different problems with Games. Ok, lets go for something a tad silly.. Or simple, but fun. These may not be the best graphics, but they are what I kill my time with when I do not have a lot of time but need a break. Wormux – If you ever played Scorched Earth or a Worms Game.. This is similar.. Only even sillier! Good fun! Worth taking a look at. Tux Racer– A silly game where you are racing Tux down a hill on his belly getting fish and beating times. There is also Planet Penguin Racer which will soon be moving to Extreme Tux Racer. All good fun! They all look like the same game, but there are multiple versions, so who knows. Pingus : If you ever played Lemmings, this will seem familiar to you, only thing is, now it is Tux that you are trying to save! Frozen Bubble : Yeah, you are just shooting little colored balls.. It is silly, and strangely addictive. Enjoy! Globulation 2 : Ok, not the best RTS game I ever played, but it is decently done, and it has a tutorial and everything else for the kids and beginners! So it is worth a few minutes to check out and see if it is addictive for you! Kbounce : Did you ever play Jezzball on Windows? Well, this is the new version, and on it’s own, it is kinda boring.. However, if you make it use digital pictures from your family album or whatever, it adds a whole new twist, cause you find yourself trying to see enough of the picture to identify etc. Good fun! Konquest : Yeah, it is pretty simple, but it is still a good way to kill a few minutes. You start out with a planet creating 10 ships per turn. The idea, conquer the board. Good luck! Nererball and Neverputt : Yep, silly games, but still strangely fun! Check them out and waste some time! Tribal Trouble : Rather silly, but lots of fun for a RTS game. Help the vikings, or the natives kick the others off the island. Each level goes fairly quick, so a good way to kill a bit of time. Garage Games : Can’t name just one. They have a lot of cute little games that are addictive and fun. I get a lot of fun out of the Bridge Construction Set. All of them are a good way to kill a few minutes though, and to each their own! And these guys support Linux, so take the time to go buy a game and support them right back! Uplink : Have you ever wondered what it would be like to be a hacker? Well, here is a fun game to allow you to be one! You get to hack into major corps networks, but don’t get caught! So here are a bunch of little games that I either find fun now, or have found fun in the past. All of them are a good time! I recommend any, or all of them! Enjoy! How can I play Dos or Windows Games in Linux? Ok, so you just decided to make the switch! Now you are trying to figure out how do I play my old Dos Games? Or how do I play my favorite Windows Game? Well, we are going to try and cover that! Dos Games : The best, and easiest method is DosBox! It is available in many different formats. You can get it from apt-get, source, portage, for the Mac, or for Windows even. Somebody else left a comment on the Space Games entry with a link to this Dosbox Guide for playing Orion 2. I also found several good guides just by Googling. You can also try DosEMU, which is a tad bit more difficult to get working correctly in my opinion, and has as good, or worse results then Dosbox. There is a good howto for DosEMU here. Wine is a good free way to run Windows Games. It is not an exact science though, so it will be hit and miss on how well some games will work. You will probably find many will not run at all. A good place to get some guides on how to get some games running on Wine can be found at Frankscorner. Pay close attention to what version of Wine they got it running in, it does make a difference! Cedega is the way to run Windows games on Linux. They aim at making sure the newest latest games for Windows that are highly popular run. That does not mean all do, but if you become a member, they hold a regular vote to see where you, the paying customer, want their time spent. They also have a decent Wiki. Pay close attention to what is officially supported, what version someone got it running in, and what bugs they found in it. It all makes a difference. The nice part is, if you pay to be a member of Cedega, all versions are downloadable for you. So it is well worth supporting them! Crossover Office is another possibility. Some games may work better on this then something else. Like I said with Wine, it is often a case of hit and miss, and the more things you have to try, the better chance you get some hits. Most full out emulators will not run 3D Games, as the graphics are not well enough supported, so do not expect to run the newest latest greatest windows game in something like Virtual Machine, or Parallels. I also have some useful gaming links on my Games page. I found a fairly decent list of Emulators and such here, which work great for most “Gotta have em” windows apps, just not games sadly enough. How come 3D Games don’t work? Ok, so I have been writing a lot about different Linux Games, it must be about time to write a little bit about video cards and how to make sure your 3d Video card is working correctly. Because odds are, if you try to run a fairly graphical game in Linux, and it does not work, it is your video card, or the drivers for that video card not being setup correctly that is causing your problem. glxgears if you do not see the numbers similar to below add -printfps to the end of the command. This will show some 3d gears in a pop up on the screen and give a display like above in the terminal screen. cat /proc/driver/nvidia/agp/card — this will display info on your nvidia card. cat /proc/driver/ati/agp/card — would display something similar for an ati card. but that will give all sorts of info. dpkg-reconfigure xserver-xorg and go through a bunch of questions to reset up everything in your xorg.conf file. You will need some info on your monitor and other stuff to set this up properly. Agree to automatic detection of your video, and choose the driver fglrx when asked. Restart X or the computer for the changes to take effect. If you have an nvidia card, depending on which one you have, you will need to make sure you have the correct drivers to get 3d enabled. Older cards such as the GeForce 3 or GeForce 4 series require the 96xx drivers or legacy drivers. Other useful commands for seeing info on your hardware is, open a terminal and type one of the following. Massively Multiplayer Online Games for Linux. Runescape : Runs on any platform that supports Java applets. Accounts can be free, or you can pay a subscription fee for additional abilities and content. The social aspect as well as the graphics will probably leave one wanting. Not an altogether bad game unless compared to newer more current commercial offerings. Free to play, but if you pay you get more content. Eternal Lands : Graphics are not to bad. The interface is horrible. The people are nice. I suppose if you took the time to figure out the interface it could be a decent game with everything they have in there. This is a free game. A Tale in the Desert : An interesting social game where there is no fighting. You skill up at things and work together to build a society and create the things you need to do so. I have tried it several times and lose interest everytime after a while just cause it would be nice to go break something or someone now and then. 🙁 Has a free trial, but then you need to pay. Regnum Online : This is probably one of my favorite “standard” MMORPG’s for Linux. It has a nice intuitive interface, decent graphics, and decent content. It still falls short of games like Everquest or World of Warcraft, but hey, they actually took the time to create a Linux Client, so show them some love and maybe things will get even better in an already well done game. The game is basically free, but they y have an interesting Pay for Premium Content business Model that could prove interesting. Vendetta Online : This is a very nice Space MMO game. It has pretty graphics, fairly intuitive interface, and they support pretty much all OSes. Show them some love! In this one, you are a space pilot, doing jobs of some sort and fighting pirates and other players while trying to make some cash. The combat is all “twitch” based or reaction time based, so if you are not high strung with good twitch skills, you may wanna look into doing some trade runs. They have a Free Trial, but if you wanna keep playing, it will cost ya. Second Life : Although not really my thing, I feel like they deserve a mention. Second Life is just that, a second life. You can create all sorts of things, and do all sorts of things in this game. They have a free basic membership, but if you want to own land, you will have to fork out the bucks. Not the standard MMO fair. They have a large number of users, so it might be worth a look. Puzzle Pirates : Never really played this, but some people rave about it. Would love to see some comments on what you think of it. The graphics look pretty limited to me, but this is more about puzzle solving by the looks of it. There is free content, and Premium Content. World Forge : Interesting Free MMORPG Base Project. Not sure how playable anything is, but should be mentioned, and might even be worth a look. There are of course many Flash type games out there as well that should and could run in Linux. Games such as DragonFable. You can also play many of the MMORPG’s for Windows using Cedega. For help on getting those running in Cedega, your best bet is probably to look at the Cedega Wiki. Good luck! I have been a fan of Space Games since way back. I used to play a Space Trading and Conquering Game on my fathers TRS-80 Model 4 back in the early 1980’s. There have been a lot of games with the same basics since then, but the graphics sure are better now! Well, I recently started finding more and more of those types of games for Linux, so thought I would post about them here.. Hope you enjoy them! Wing Commander Privateer Gold : As Grayson Burrows you inherited a small old scout class ship from your grandfather, to start over as a Privateer in a new and sparsely populated sector of the Confederation. Take your chance and become a pirate, merchant or bounty hunter upgrade your ship and experience the hard truth in a border sector where no one has anything to give away… Based off the Vega Strike Engine. Free Orion : an open-source game inspired by Master of Orion, is a turn-based game of epic space strategy that builds on the classic ‘4X‘ model by incorporating the nation-building elements of games such as Europa Universalis 2 and a versatile tactical combat engine. While its modular, open-source design allows for a significant degree of customization of the game engine and the story elements by the community, the FreeOrion team is dedicated to the construction of a living, breathing universe in a ‘grand campaign’ model. X2: The Threat : is of a new generation of space simulator games, you play the role of Julian Gardna who continues the story set by X: Beyond The Frontier. The updated graphics engine gives the universe a fresher feel with newly designed ships and stations adding to the complexity of the universe. You can order it for Linux from Tuxgames! Vega Strike : is an Open Source 3D Action-Space-Sim that lets you trade, fight, and explore in a vast universe. It has been used as the base for several other projects which are all listed on their website. 🙂 Including several of the Privateer and Wing Commander types. Oolite : A simple fly from planet to planet trading and making money and destroying pirates game. Not bad to kill a bit of time. 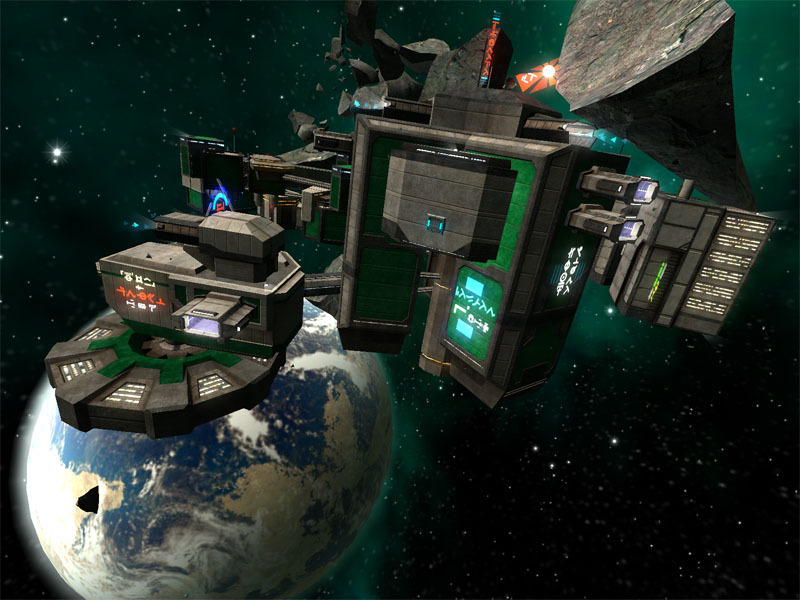 Terminus : Terminus is, at its heart, a space combat simulation. Many of these “space sim” elements are similar to other games, such as the Freespace series. You can pilot a variety of single seat spacecraft, ranging from fighters to gunboats to transports. With these ships at your disposal, you can carry out a wide range of missions or contracts. Some of these are commercial, but have demos, some of them are free, and some of them are ports of popular Windows Games. All of them are fairly fun. 🙂 Post if you have more!